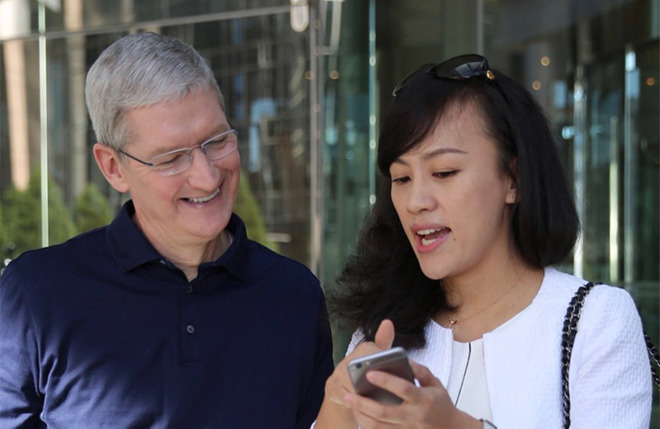 The full profile of Jean Liu in TIME Magazine, by Apple CEO Tim Cook, is here. Cook is not on TIME‘s “100 Most Influential People” list this year. but the Cylinder Mac Pro 8 Core with announced drop in price a few weeks ago in Apple’s MP mea culpa is STILL UNAVAILABLE. see already I got a ‘one star’ for stating ‘facts’ . Previously flamers have for criticizing Cook even reflexively condemned me as a ‘ gay hater’ .. (I’m not, I’m a frustrated Apple consumer and investor. ). people tell me Tim Cook is TOO BUSY to deal with products (as he’s running around being a social activist) , it’s above him , his ‘SVPs, engineers’ do it … I say this is f-ck all lame excuse, because apparently his orders to his ‘engineers’ ain’t working… (No T.C real job as defined by his obligations to the BOD ain’t making activist speeches ). If Apple products were coming on near perfect fine, make speeches, do fashion shows like Apple sponsored Met Gala, have apple designers spend one year and half designing door handles for the New Campus (as reported by Reuters), but we’ve got stuff like the Education market where Apple’s dominant position has fallen to 10% and Chromebooks climbing to 60% with Apple basically not answering … (combating Chromebooks apparently doesn’t merit a ‘war speech’ from T.C.. ). Praising another CEO in this manner is extravagantly-effusive and it certainly deviates from Apple’s core business, and Jobs would never to that so publicly, it seems to me; He would instead concentrate on delighting customers with enchanting products. So Tim goes to China, where an American company is doing well, drops a billion dollars on their competitor, watches the American company have to pull out, now he’s congratulating the Chinese company CEO? If you are referring to Uber, I fail to understand why anyone would have sympathy for that scummy company. They are reaping what they sowed. American cities are banning them too. Seek better alternatives, they are out there. People are underestimating the value of this relationship. I mean Tim just might reveal soon that he is bisexual.